Vintage round gold coffee / occasional table with glass top. Luxe, glam living room furniture for modern, contemporary and traditional style home decors. Simple but beautiful coffee table with large round glass surface. 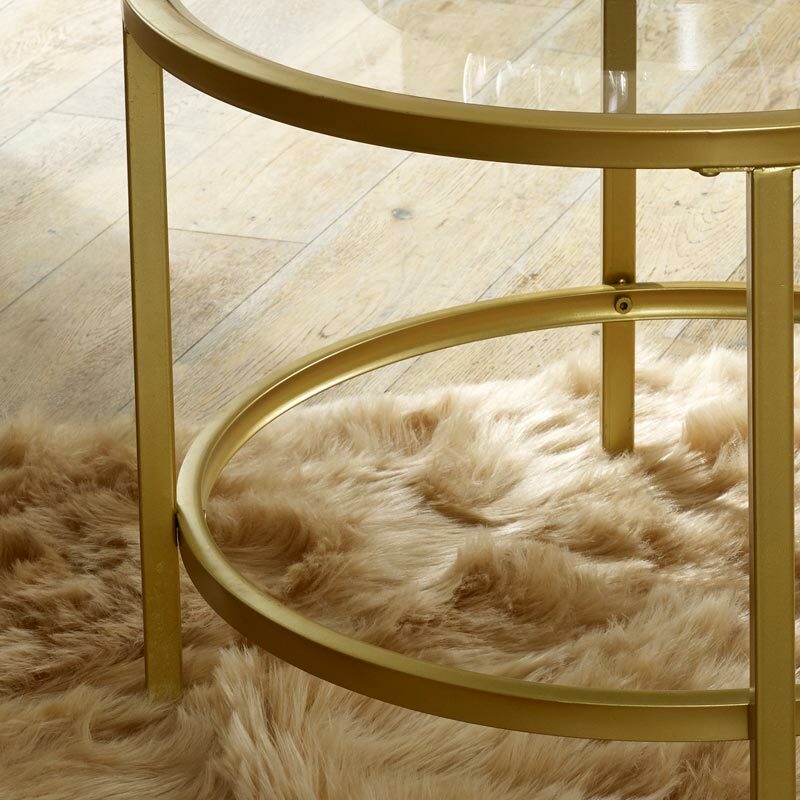 Perfect for a luxuriously styled living room. We have a fantastic selection of coffee tables and occasional tables to suit many interior styles and colour schemes. 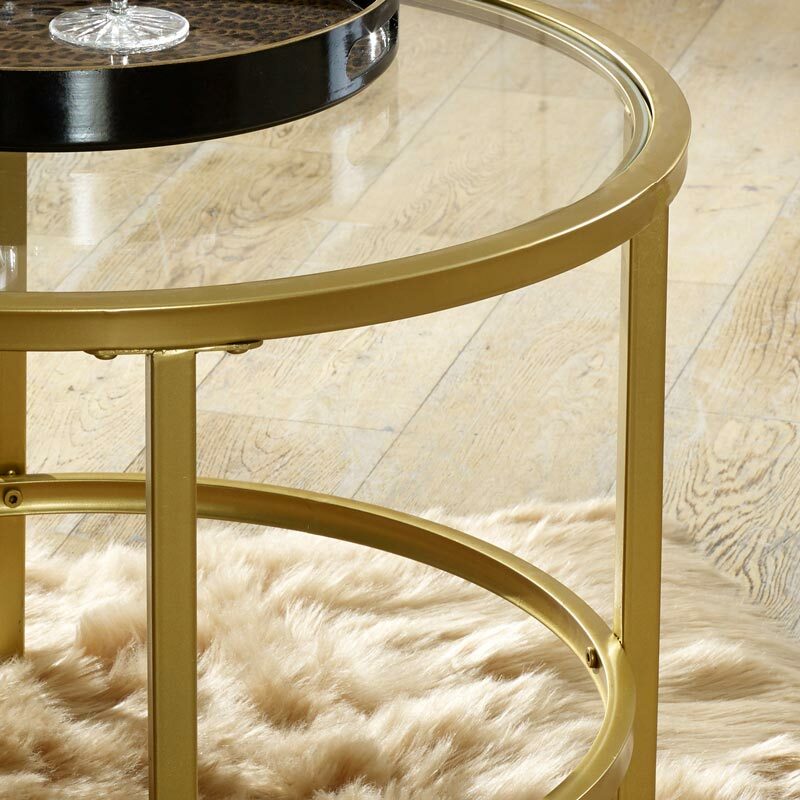 Vintage round gold coffee / occasional table with glass top. Luxe, glam living room furniture for modern, contemporary and traditional style home decors. 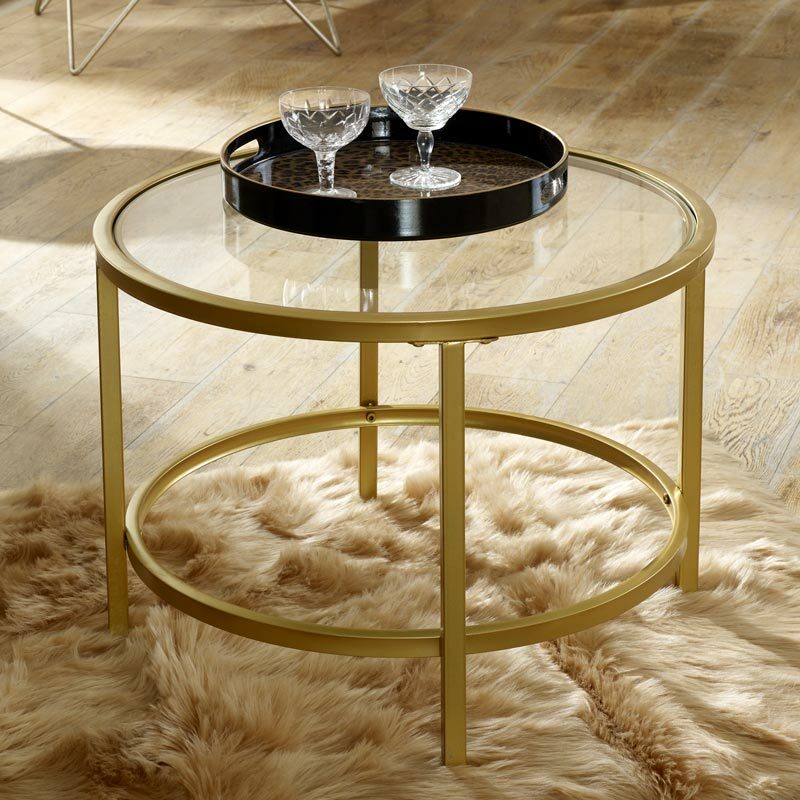 Simple but beautiful coffee table with large round glass surface. Perfect for a luxuriously styled living room. We have a fantastic selection of coffee tables and occasional tables to suit many interior styles and colour schemes. Metal frame in a gold painted finish with tempered glass table top. Assembly required with all fixings included in the box. With a fantastic range of side, occasional and lamp tables to choose from, you'll be spoilt for choice. Our range includes more mirrored tables in even more colours, half moon tables and tables with storage. With so much to choose from, there's no need to look any further.